The Tianhou Palace (Tiānhòugōng 天后宫) is located in beautiful Quanzhou City in Fujian Province. 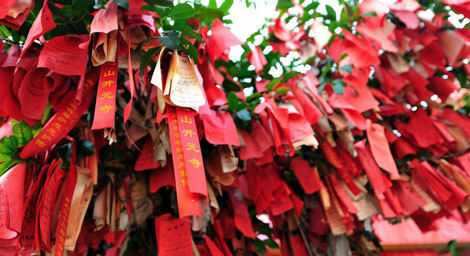 It is the earliest Mazu (Māzǔ 妈祖) Temple. The temple complex covers a large area and is of the highest architectural standard. It is the first Mazu Temple to be listed as one of China's National Key Cultural Relics Protection Sites. Kaiyuan Temple (Kāiyuánsì 开元寺), situated in West Street of Quanzhou (Quánzhōu 泉州), Fujian Province, is the largest temple in Fujian Province. It was equally as famous as Baima Temple in Luoyang City, Lingyin Temple in Hangzhou City, and has strong influence upon Taiwan and overseas Buddhists. 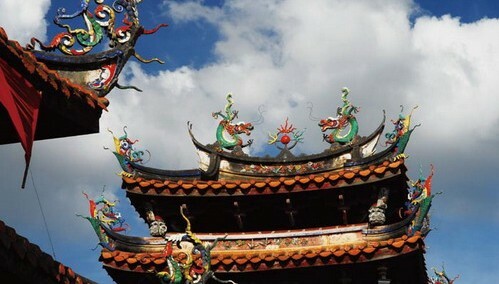 In 1983, it was designated as one of national key temples in the areas of the Han nationality. Literally translated as the "Pure Water-source Mountain", Qingyuan Mountain (Qīngyúanshān 清源山) is famous for its springs, rocks caves and peaks. Legend has it that the name of the mountain comes from a spring made by a immortal using an iron crutch stamping into the ground. 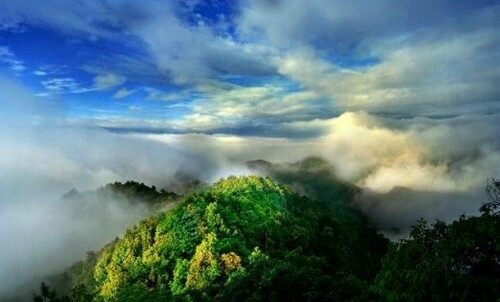 It stands in the north of Quanzhou (Qúanzhōu 泉州) as a natural defence, known for its exotic rocks and springs. 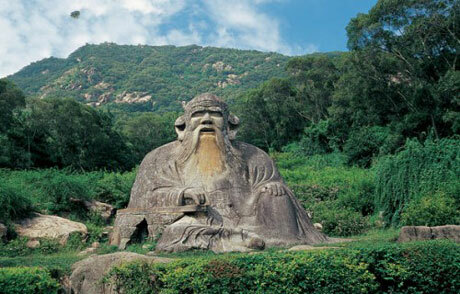 People of the Yuan Dynasty (Yúandài 元代) praised Qingyuan Mountain as the "first mountain at a fabled abode of immortals in the sea of Fujian.". Quanzhou (Quánzhōu 泉州) is a prefecture-level city in southern Fujian province, People's Republic of China. It borders all other prefecture-level cities in Fujian but two Ningde (Níngdé 宁德) and Nanping (Nánpíng 南平) and faces the Taiwan (Táiwān 台湾) Strait. Today it is called "World Religions Museum". Here exotic cultures have been mixed with traditional ones for thousands of years, leaving many historic sites, such as Qingjing Mosque (Qīngjìngsì 清净寺), the Islamic Saint Mausoleums, Kaiyuan Temple (Kāiyúansì 开元寺), Heavenly Empress Palace and other architectural classics such as Luoyang Bridge, Quanzhou was once a great trading port and an important stop on the maritime silk route. Back in the 13th century,Marco Polo informed his readers that it is one of the two ports in the world with the biggest flow of merchandise. The city reached its zenith as an international port during the Song and Yuan dynasties, drawing merchants from all over the world to its shores. By the Qing, however, it was starting to decline and droves of residents began fleeing to southeast Asia to escape the constant political turmoil.